For common users, it is more frequently to take a photo by our mobile phones than by cameras. Some of these photos are so important because they recorded precious memories for us. You must like to keep them when you switch to a new phone. Here are 4 ways for you to transfer photos from Android to Android. 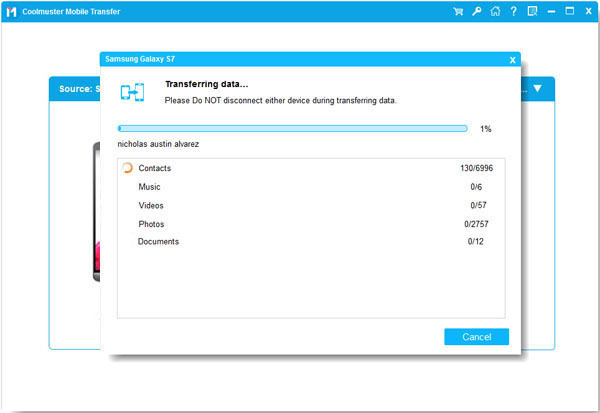 Samsung Data Transfer is a mobile phone transfer tool to help users transfer data from phone to phone directly by simply clicking once. You can tick "Photos" and other files, then click "Start Copy" to begin the automatically transferring. 4 modes for mobile phone transfer - Android to Android, Android to iPhone, iPhone to Android and iPhone to iPhone. So this program supports both Android OS and iOS. Under the mode of Android to Android, you can transfer photos, videos, music, documents, apps, contacts, call logs and text messages from an old Android to a new one. Step 2. Run the program and connect your Android devices to computer via USB cables at the same time. Please enable USB debugging on your Android devices. Step 3. Correct the phones' sides after your devices were detected. Please make sure that the sending phone is on the left, and the receiving one is on the right. You can click "Flip" to change their sides. Step 4. After that, please select files you want to transfer. You can simply tick the files from the interface, click "Start Copy" and the process will start automatically. The program supports Android OS from Android 2.1 to Android 9.0, including Samsung Galaxy S9/ Galaxy Note9, HTC U12+, LG Q7+/ Q6, SONY Xperia XZ2 Premium, Motorola z3 and so on. It also supports iOS from iOS 5 to iOS 12, including iPhone X, iPhone 8+/ 8/ 7 and so on. 1. Backup your Android files to computer, including contacts, text messages, call logs, apps, photos, videos and music. 2. Edit and send text messages on computer, delete/ export messages in batches. 4. Delete/ import music, videos and photos in batches on computer. 5. Backup/ restore your whole Android phone with simply clicking once. How to transfer photos from Android to Android with Samsung Messages Backup? Step 2. Run the program and connect your phone to computer. An interface shown below will appear on your computer to guide you enable USB debugging. Just follow the prompts to go on. Or you can connect Android devices to computer via Wi-Fi. Once your Android phone was detected successfully, you can see an interface as follows. 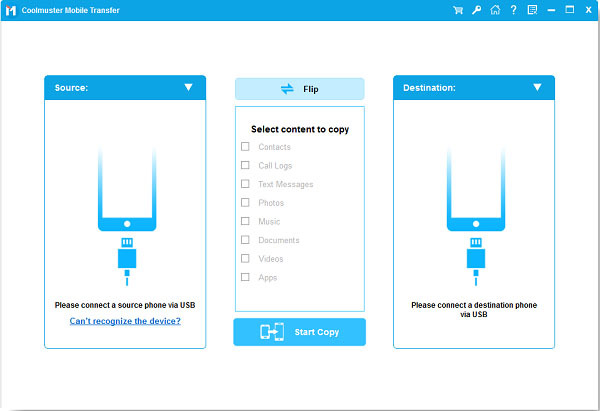 The entire files of your Android phone are shown on the left. Step 3. Please go to the "Photos" folder and select photos and other files (if needed) you wish to transfer from your Android. The program will let you select a folder on your computer to locate the data you are exporting. After that, you can check your backups on local folder. Step 4. Now, you can disconnect your Android phone from computer, and connect the new one to computer via a USB cable. Then enable USB debugging and enter the main interface. Step 5. Click "Photos" folder, then tap on "Add" from the top menu bar, please select photos from your local folder you have just set to store your backups and start to transfer. When the process is completed, you can check these photos on your new Android phone. 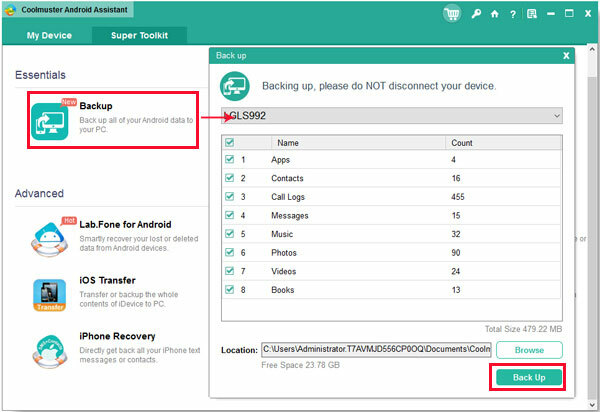 Besides, you can backup a whole Android phone by one click, please go to "Super Toolkit" > "Backup" > choose the location > tap on "Back Up". Google Photos is designed to store and share photos, it freely offers unlimited storage for users. You can backup & sync photos and videos from your smart phone to Google Photos. If you have a new Android phone and would like to switch all the photos and video to it, Google Photos is a great Android photo transfer. You can also use this application to transfer photos from iPhone to Android. How to use Google Photos to transfer Android photos? Step 1. Download and install Google Photos from Google Play store on your sending phone. Step 2. Run the app on your old Android device, you need to sign in to your Google Account. Step 3. Select upload size for photos & videos. There are two options: "High quality" & "Original". "High quality" is recommended first because it can save storage space and will not lower the photos' quality. Step 4. Now please go to "Setting" from the top menu, turn "Back up & sync" on to upload all the photos and videos on your sending phone. Step 5. Open Google Photos on your new Android device, you need to sign in to the same Google Account that you used to upload photos. Step 6. Now please tick "High quality" and turn "Back up & sync" on. You can check all the uploaded photos and videos on your new phone. Step 7. If you want to download photos to your new Android device, please tap on "Menu" > "Settings" > turn on "Auto Add" under "Google Photos" > tap "Back" at the top. Step 8. Find and open Google Photos folder, select the photo folder and tap the three-point button, choose "Select All" and tap on "Download" to start to transfer photos from Android to Android. Almost each Android user can use Bluetooth to transfer photos between Android phones. Two main steps to send photos from Android to Android: enable Bluetooth on both Android device and send photos from an old one. How to enable Bluetooth on Android devices? Setup 1. Please go to "Settings" app and turn the "Bluetooth" on, then you can see a list of nearby devices which can be matched. Step 2. Select the one device you like to transfer photos to, set a connection between two devices to pair them. How to send photos from Android to Android via Bluetooth? 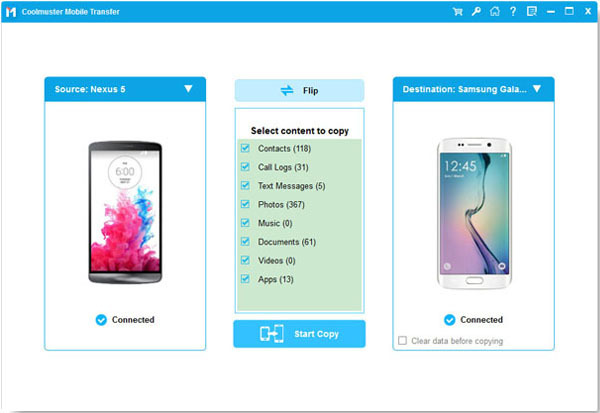 Launch the "File Manager" on your sending phone, select the photos you would like to send, and share it to the receiving one. If you did not install any file manager app on your phone, you can go to Google Play to download one. [2 Ways] How to Transfer Photos Between Samsung Phone and Computer? How to Backup Android Camera Photos/Videos?